Home/PK Simpson Blog/Can I claim compensation for an injury sustained on a flight? Can I claim compensation for an injury sustained on a flight? There are many situations in which you might be eligible for injuries compensation, but perhaps one that most people don’t consider is when they are travelling by air. As several recent cases demonstrate, there is potential to receive a substantial payout from an airline, providing you can present the necessary evidence. 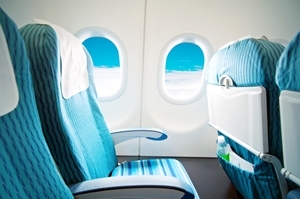 Personal injury compensation for injuries sustained on a flight. Under the Aviation Legislation Amendment (Liability and Insurance) Act 2012, airlines will be required to offer compensation in situations where passengers haven’t been adequately provided for in terms of safety. Contributory negligence will be taken into account in a court of law, namely whether the incident was a result of the actions of another person. Earlier this year, a case was heard by the Supreme Court of New South Wales, in which the claimants sought damages from Pel-Air. They had been employed to provide medical assistance to a patient and when stopping on Norfolk Island to refuel, the plane crashed. The plane was found to be travelling at speed, so when it hit the water, the impact caused it to break up. Both parties were seriously injured and it became apparent that a life raft had not been deployed for their safety. It took 90 minutes for them to be rescued. Since the accident, one of the claimants has suffered serious psychological injuries, as well as extreme discomfort in his back. This has not improved over time. The pilot and co-pilot were found to be negligible in this particular instance, which led to a successful personal injury claim. As in this case and any other, the key to success is a combination of compelling medical evidence, as well as the services of an accident lawyer. The Supreme Court recently heard another case where a woman filed for compensation from Emirates after a hot drink was spilled on her lap during a flight. She claimed this led her to jump up and twist sharply, which led to a severe injury in her back. However, the judge ruled there was insufficient evidence to suggest the two incidents were connected. This is why having the experience of an accident solicitor on hand can provide real value when pursuing a claim. Make sure you get in touch with PK Simpson for advice on how to pursue your injury claim suffered on board a flight, or in any other situation you think someone might be liable. In Australia it is possible to bring a compensation claim against any of the major airlines including Qantas, Jetstar, Virgin, Rex, Tigerair, as well as any foreign airline such as Cathay Pacific, Air New Zealand and Emirates. By PK Simpson Lawyers| 2018-03-14T09:27:49+00:00	September 28th, 2015|PK Simpson Blog|Comments Off on Can I claim compensation for an injury sustained on a flight?